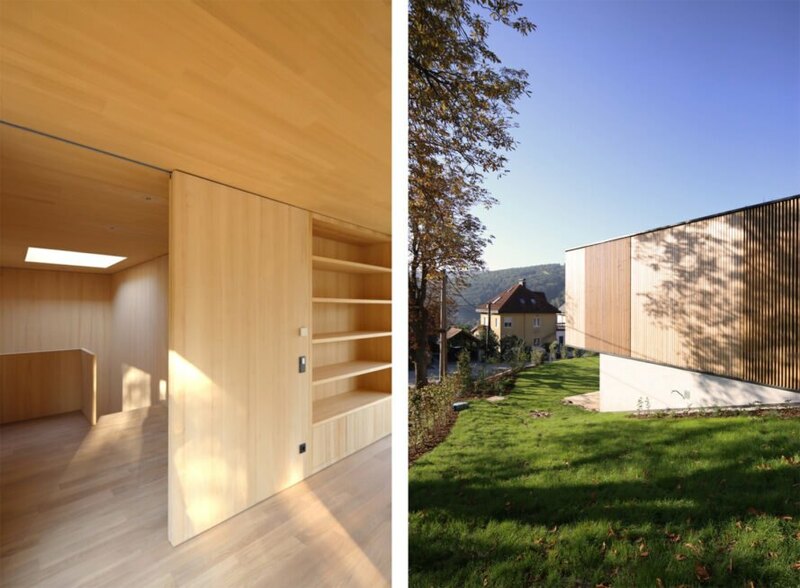 In the historic Austrian village of Purkersdorf, Vienna-based architectural practice Juri Troy Architects has completed the L House, a timber home named after its L-shaped form integrated with sustainable design elements. Built with numerous recycled materials, the house forms a strong connection with nature from its green roof to its large windows that sweep views of the bucolic outdoors in. Nestled into a southern slope above the village of Purkersdorf, the 3,450-square-foot L House boasts striking views of the Vienna woods. Despite its corner lot location, the home’s elevated position affords it privacy; the lower level of the two-story home is obscured from view. As a result, most of the bedrooms are located on the ground floor, where they open up to a south-facing outdoor terrace. The cantilevered upper volume primarily consists of the living spaces, including an open-plan dining area, kitchen and living room that open up to a covered outdoor terrace. The parking pad and main entrance are also on this level as is a bedroom suite. To take advantage of views, floor-to-ceiling glazing opens the open-plan living areas up to the outdoors on two sides. To the south is the public-facing terrace, while the more private outdoor spaces—a courtyard and terrace with a natural pool—are tucked into the hillside. 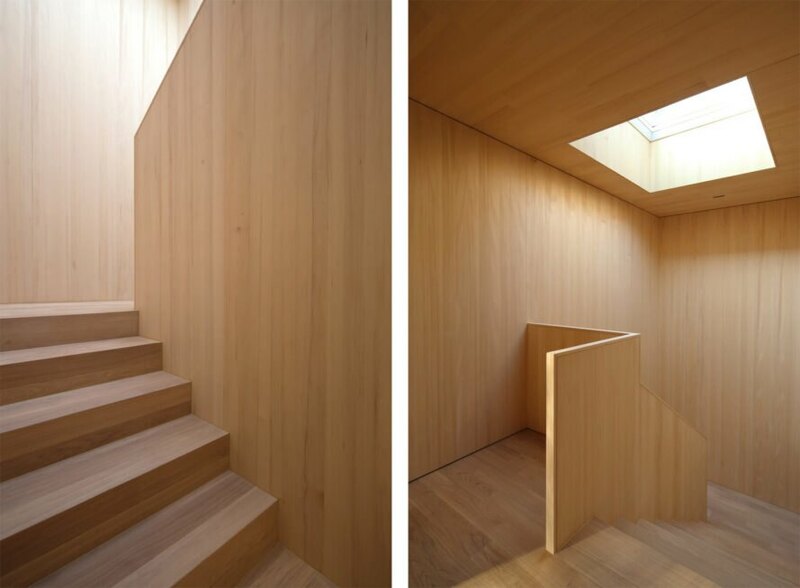 In addition to the use of white fir for cladding the upper volume, the architects also lined the interior walls and ceilings with white fir and built the doors and furnishings out of the same material. As part of L House’s sustainability-focused design, the architects also used numerous recycled materials and topped part of the building with a green roof that buffers rainfall and improves roof insulation. 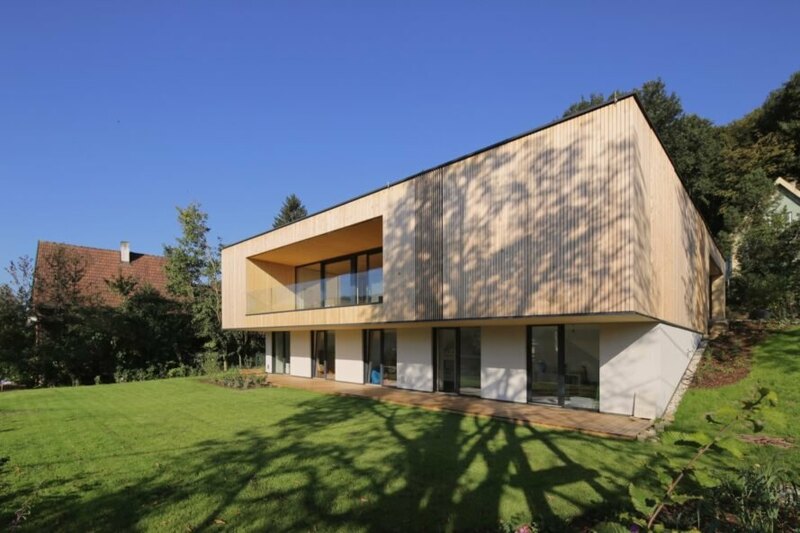 Deep roof overhangs mitigate unwanted solar heat gain while large operable glazing lets in an abundance of natural light and natural ventilation. 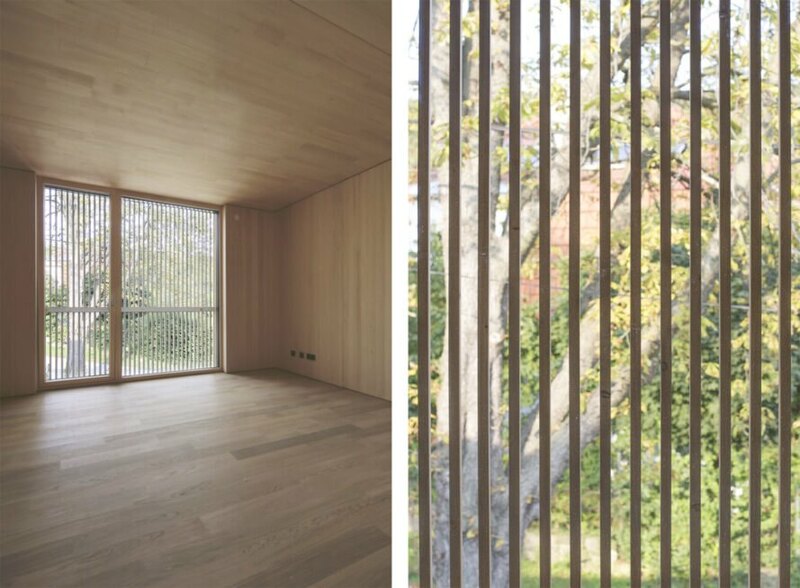 The L House is clad with timber and covered in white fir. 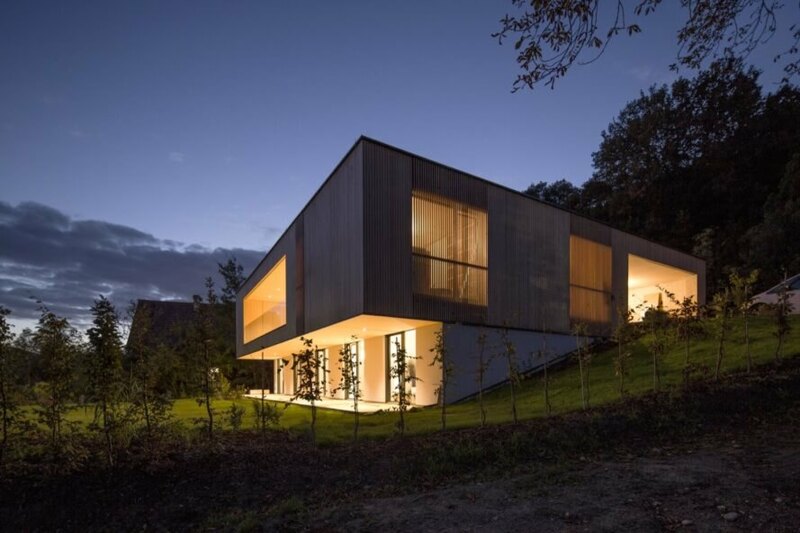 The L House was built on a southern slope offering great views of the nearby village and woods. The L House uses geothermal energy to produce heat. The majority of the bedrooms are located on the bottom floor of the home. The kitchen, an open dining area and living room are located on the upper level. The L House is also equipped with a natural pool and courtyard.